GE Industrial 2-Position heavy-duty water-tight/oil-tight non-illuminated selector switch has voltage rating of 600-Volt AC/DC and current rating of 10-Amps. 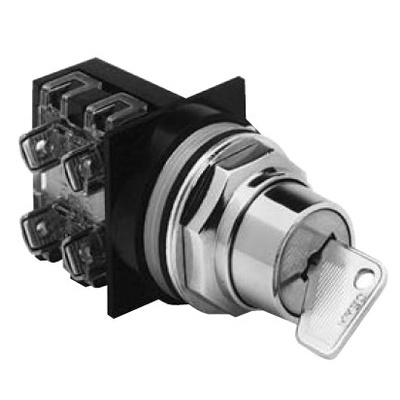 This nylon body selector switch features key polycarbonate actuator. This switch has maintained action and chrome-plated zinc ingot bezel. Selector switch is UL listed and CSA certified.